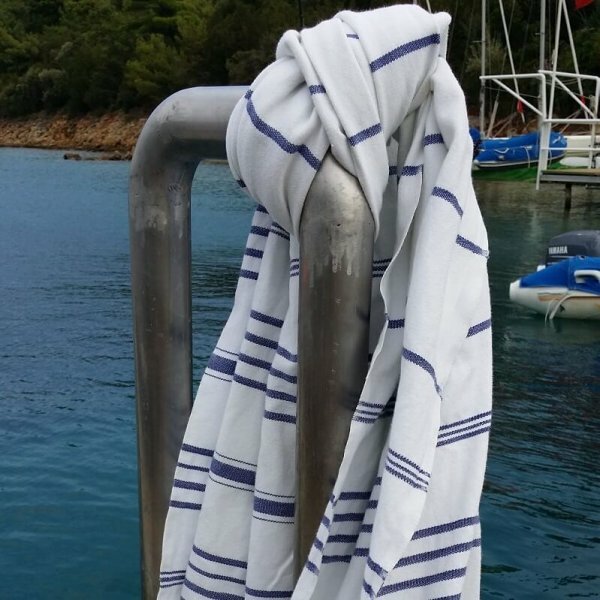 Miami hammam towels for the beach is full of surprises. You will never guess how it looks like without opening it up in full length to appreciate its charm. 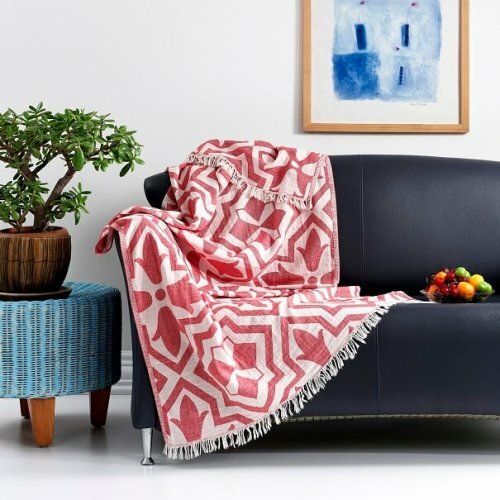 It has stunning colour combinations in blocks. 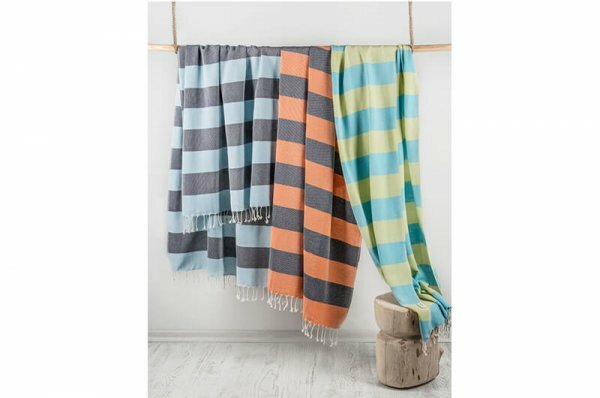 Miami peshtemal hammam towels for the beach are truly beautiful towels with the looks and also with the fine & silky quality. They are made of 85% cotton and 15% Tencel. Miamis are super quick-dry and compact just perfect for travelling, boating, sailing, camping and gym. They are very easy to care and long-lasting towels which make them the travellers’ best friend with their uncapricious nature. 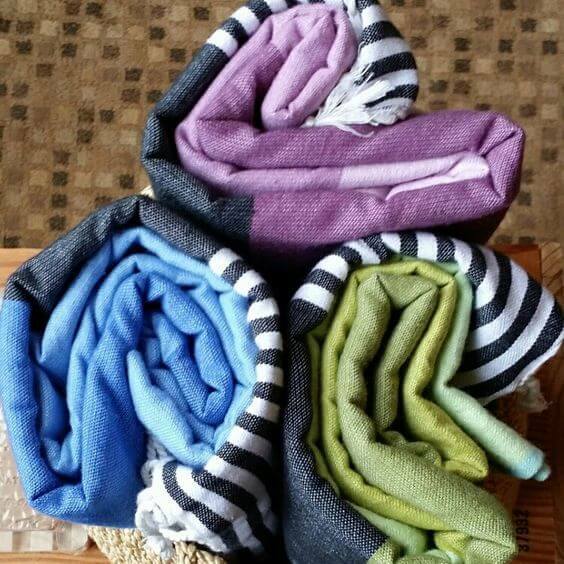 A few inspirational ideas – they make great towels for GAP year & university students, backpackers, hikers. 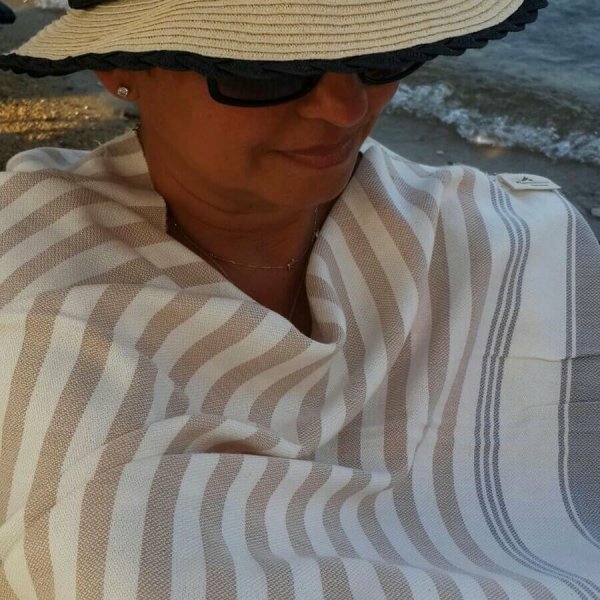 These Turkish Hammam towels are extremely versatile and can also be used as a scarf, sarong, head turban, sun-shader, blanket depending on the circumstances and the need. They equally look outstanding in the bathroom giving it an instant change of character with their charming block-colour stripes. Or you can utilise them as a very handy guest towel for your sleep-over guests. It will save you huge washing time and space in your washing machine. And you will save some of your precious time. You won’t part with them once you let them into your life, be it a holiday, a weekend get-away or a gym. 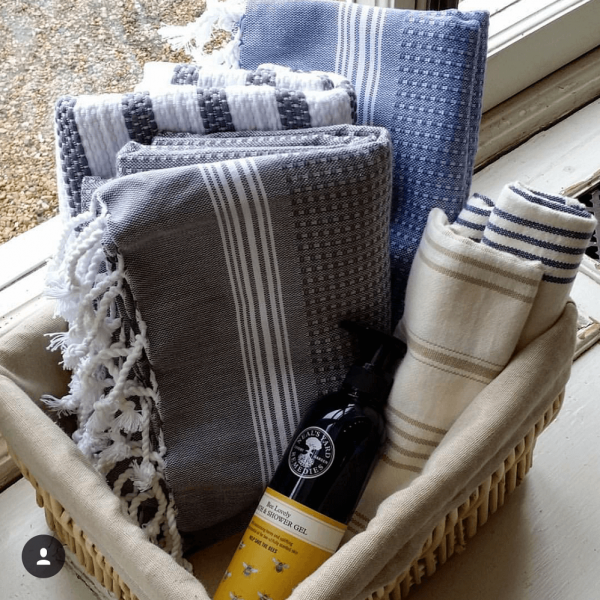 They will accompany you all the way to be your proper towel to dry with whilst giving you a cool style with their modern looks and striking colour combo.